NEVER...EVER...GIVE UP HOPE : What is the World's Greatest Con Job? Last week I was asked to be on a National television show to talk about skin and how to avoid getting those awful brown aging spots. It is always exciting to share secrets to improve health - inside and out! At my age, many people expect to have skin issues. Dry rough skin. Skin that has lost its elasticity. Those fine line wrinkles and those not so fine ones. Skin that has become transparent and lost its luster. Skin that bruises easily. 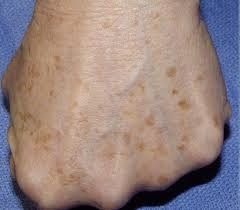 Aging spots. Then there is our hair. Thinning hair. Dry, limp, dull hair. Hair falling out. Flaky scalp. These are some simple signs of aging we all expect and are not surprised when they occur. We slap on creams and lotions or have laser treatment in an effort to prevent/cover-up the inevitable. We buy the most expensive shampoo and conditioner thinking they should be superior. The whole process becomes a workout and rarely produces the long-lasting results we were hoping to achieve. s a health coach, a question many clients ask is "You have such beautiful skin, what's your secret?" Skin is our largest organ and just like any other organ, we need to take care of it internally. The same goes for our hair. I have been going to the same hair stylist for several years and almost every time she sees me she makes the same comment. "Where do you get so much hair?" Or...."Am I ever going to find at least one gray hair on your head?" I have to get my hair thinned twice a month because it gets so thick and grows so quickly. No, that is not because the more I cut it the more it grows. 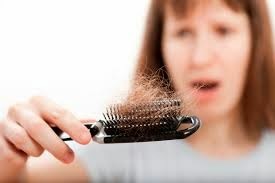 Healthy hair, nails and, skin are a window to internal health. As a symptomologist, many of the questions I ask a client refer to our exterior. The reason is simple. When we are aging on the inside, it shows on the outside. Looking in the mirror reveals a lot more than just what we see, if we know what to look for. My journey to optimum health started 40 years ago when the specialist told me I had cancer and would surely die without a hysterectomy. You can read that story here, but essentially I refused to accept that and took my health into my own hands to prove him wrong. When I did that, he told me to "Go home, suffer and die." I told him I would walk in there pregnant and I did - 14 years later. Initially, I had no answers but I was determined to find them and I did. As a result, I began the education process to fulfill my new mission in life. Teach people to take time for their health today so that they would have health for their time tomorrow. As I shared in If Your Health Matters, What are You Doing About it? we can take control of our health. We can educate ourselves. We can improve our health as we age. I get my annual check-up every few years and each time the doctor tells me my stats improve. As he is aging, he is beginning to ask questions for obvious reasons. "Whatever you are doing, keep doing it." I haven't had a cold or flu for four decades. I have as much or more energy as most people 20 years younger than me. I feel the same almost every single day and it's not boring -- wouldn't you love to feel great every day - waking up refreshed after a night's sleep? I eat whatever I want without worrying about allergies or sensitivities. I am not bragging here -- but want to make a point. You can experience optimum health. You can improve with some patience and a desire to feel wonderful. It is a matter of seeing it through until you get the results. I promised you some secrets and the biggest secret is one that is well hidden. Many of you reading this are probably taking vitamins/food supplements just as I was when diagnosed 40 years ago. So, why don't they work as we expect them to work? There are three types of vitamins. Synthetic, natural altered and natural unaltered. 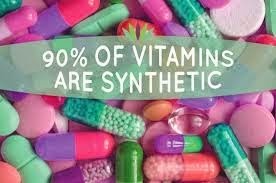 Synthetic: These are the tricky ones because the label most often will say 'from natural sources' or 'natural' or anything similar. Hang on to your seat belt - here is one of the best kept secrets: COAL TAR is a natural source. PETROLEUM is a natural source. Synthetic vitamins are made from these wonderful ingredients that are toxic poison to you and the repercussions down the road are horrendous. I believe this is the world's Number One Con Job. Millions of people believe they can obtain health and life to their bodies by eating dead, lifeless coal tar. Before I address a client's issues, I ask them to bring in the vitamins they are taking. On the label, it is easy to find the scientific names for the synthetic properties in these ingredients. People are always appalled when they see it in black and white. Natural Altered: These are vitamins that may come from an edible natural source but have been altered. For example: The body requires the food (or vitamins) you eat in proper proportion to the way they grow in nature. In nature, all the B vitamins grow together. If a manufacturer isolates one of them, like B12 or B6, they are taken out of balance and will not be assimilated properly. The results you get from these altered vitamins are close to the same results you would get from medication. They may help curb the symptoms but they cannot build health. 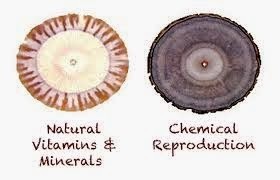 Natural Unaltered: These are the purest form of food supplements that can build health and restore damaged cells. But there is so much more. One of the KEY factors is whether or not the natural unaltered supplements you are taking have a life factor. Although scientists have tried, it is absolutely IMPOSSIBLE to build life from death. If there is no enzyme activity, no life factor - what you take in the front door will exit the back door making little improvement to your health on that trip. Think about it. What is healthier? Overcooked vegetables or raw ones? Now apply that to the vitamins you take. But, hold on, there's SO much more. 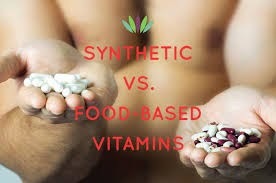 Next week I will share several more components to look for when you are purchasing vitamins to improve your health. Instead of whining about your health, wouldn't you love to be bragging about it? This post could actually change your life and start you on a journey to living well and enjoying it even more. How would that make you feel?